It seemed only right to kick off with some Kraut-disco as K-X-P are in town this week - my kind of disco. And another track from the upcoming Altered Hours EP, which comes out next week, the alluring psych pop of 'Smoke in your eyes'. In fact, the range of Irish music being made continues to impress. Also on this week's show we had the smoky blues of Cat Dowling, the Hawaiian lullaby of Peter Delaney, the 8-bit stylings of Cove, the vocal swoon of Sans Chateaux and the enigmatic New Wave of Girls Names. Yes. The Phoenix Foundation from NZ, a universal pulse from Fuxa, and anthemic synth pop from Here Is Your Temple. Also new music from Melt Yourself Down, another storming global funk off, Camera Obscura (great to hear them back with us) and gorgeous dream pop from Deerhunter (pictured), who curate ATP at the end of June. Continuing a very strong Cork showing this spring, The Altered Hours’ debut single with the Berlin label is a smouldering, slow-burning affair of background fuzz and hushed-and-high female vocals. The MBV comparison is there but is kept at bay by an elegiac, rising keyboard line and the expert stretching of the suspense over 5 minutes. It still doesn’t quite capture the power and intensity of their live shows, mind you, a thing that folks should go out of their way to check out. A thrilling return from the Cork-based (although Waterford-born) band, the first song from their upcoming second album, Vitreous, due in June. A motorik rhythm section sets the pace, stylish prog guitars and keys attach themselves and banks of soaring, unexpected vocal harmonies cap it all. Coming in at just 2 and a half minutes, it’s the most bite-sized progressive pop package you’ll find and a cracking tune. John Grant is back in Cork, and on tour, soon which made me want to dig out some of The Czars, the band he fronted over 10 years ago. The brilliant 'Get used to it' started the show, from the album before…not longer released in 2000, a duet with Paula Frazer, herself formerly of the fine band Tarnation. After that, meet Here Is Your Temple, a Swedish 5-piece with one of the best tunes all year, a Beach House meets early Arcade Fire concoction, with room for a hint of Fleetwood Mac. Storming. New music from The National (playing Cork at the end of June and Dublin in November) and a monster of a new single from Queens of the Stone Age. Also The Pictish Trail, This is the Kit (plays Cork in May), some great new power pop from Telekinesis, the catchy-as-measles O Emperor. I thought The Altered Hours came off very well up against the wonderful Circus Devils which features Robert Pollard on vocals. A thoroughly magnificent album, with a range of gorgeous guitar textures and swoonsome but hardy melodies. These eight chiming, mainly 12-string, electric guitar instrumentals manage to conjure vast horizons, incorporating the beauty and harshness of the American frontier, much like some of the best westerns which have apparently provided inspiration to Tyler. Opener Country of illusion, for example, features a series of heart-lifting melodies, each with a bracing edge, as it moves through several movements – and they do literally move. Geography of nowhere starts out on a noirish note, with shimmering chorus filters - an apt evocation of Los Angeles perhaps - before launching into a busy fingerpicked section. Cadillac desert is another burnished piece, with a beautiful Byrdsian (circa 68, reminding a little of the great Old John Robertson) mid-section, adorned with keening pedal steel. I had a hankering for some Gene Clark (happens quite often) so we had the nailed-on classic that is ‘Echoes’ to start the show this week, from his first solo album (with The Gosdin Brothers) after leaving The Byrds. A brilliant, kind of fluttering arrangement. We had K-X-P back – kraut disco, they’re calling it – and the very spiky, English post-punk Savages. Two beautiful European ambient pieces, Pieter Nooten from his remarkable double album Haven, and a new single from Jumpel, featuring memorable vocals by Chloe March. New singles from Daughter and Olof Arnalds. And Ra Ra Riot with the very very catchy falsetto of ‘Beta love’. The new single from Yo La Tengo started the show this week, followed by something else beautiful from Fuxa, a tribute to the late Mary Hansen, ex of Stereolab. A pulse into space that never ends. More from Irishman Biggles Flys Again, some lovely vocal group stylings, and O Emperor’s stirring psych pop motorik. 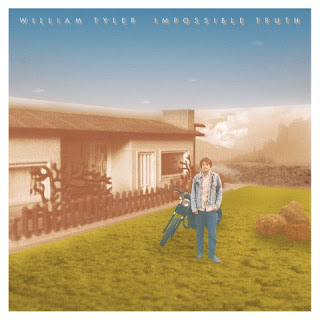 Also more from William Tyler and his touring mate Hiss Golden Messenger, both playing Ireland in May. And lovely chamber pop from the upcoming Liam Singer album.